Here is my latest article for Project Wedding. It’s the easiest thing ever. 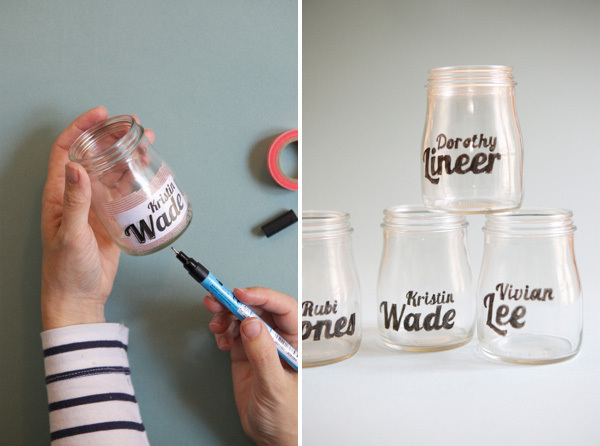 I just used little glass jars (old yogurt jars) and then used a $5 paint pen that is made just for painting on glass to create a little typography masterpiece. These would also be cute with votives hanging on a string. See all the directions and sources right here. bookmarked this! great idea, and it would be great for ANY party! So simple yet so very lovely! I dig. Never is a zillion years would I have thought of that — but it looks so great! 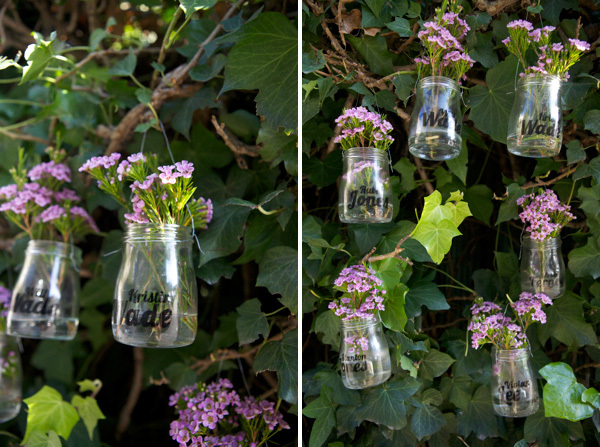 super cute (and easy) idea! i might have just found my place cards for thanksgiving dinner! Brilliant! I have to share this! LOVE these! What a fantastic DIY. Once again — brilliant. Love these cuties! Typography…oh what a world we would live in if everyone utilized you. This is just genius, I want to make some right now! Love love love Oh Happy Day! brillz! i love this. bookmarked. Love it!! Will have to pass your blog along to my clients soon! Hannah @ Sparrow + Spark! This is such a fab idea! Great for a dinner party too- bookmarking for Christmas! And I am so obsessed with the yogurt jars over there I might have to hop on a plane with the one intent of bringing some of those home. Love this! 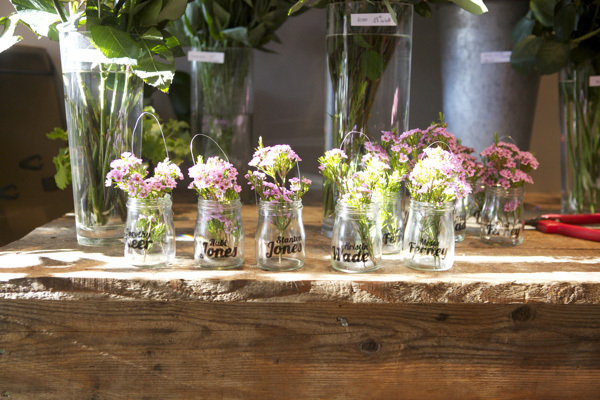 So smart, and the size of the jars is so perfect for a project like this. Thanks for sharing! I’m a young reader from Brazil and I really wanted to congratulate you! This is pretty much my favorite website ever, and my grandma is also absolutely astonished by it – when she lived in the states, she used to do this sort of thing (decoration for children’s parties) and she always tells me that you can make pretty things out of almost anything no matter where you live. Is this your calligraphy or is it a pre-made font? If it’s a font, would you tell me where to download it? LOVED these. I will be using them in a party soonish…. also, I just had to add a link to this post (and the project wedding post) in my Friday Finds!